Banner Advertising, Offers Promotions & more! 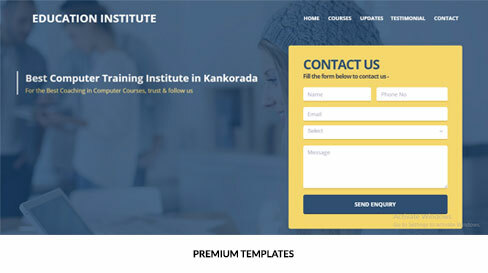 IndiaOnline’s powerful drag and drop website builder and step-by-step guided process will help you create your website in less than 15 minutes. No coding needed. 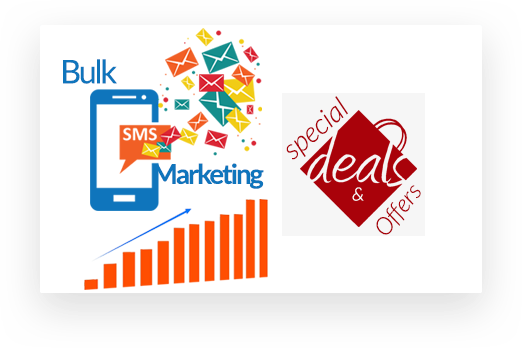 Bulk SMS Marketing : in-built 1-Crore+ All-India Database of Verified Mobile Numbers for sending Unlimited Bulk SMS blasts. No need to worry about finding relevant database ever again! Promote your Deals & Offers : & Just post all your offers on your Website and we will automatically publish & promote them on your Business Profile, your City and State Portal. Drive quality traffic to your Website with a linked Business Listing on IndiaOnline.in Directory on all 475 Portals so your Customers can find you from all over India. Run your business from anywhere, anytime. Never miss a Customer again. Ever. 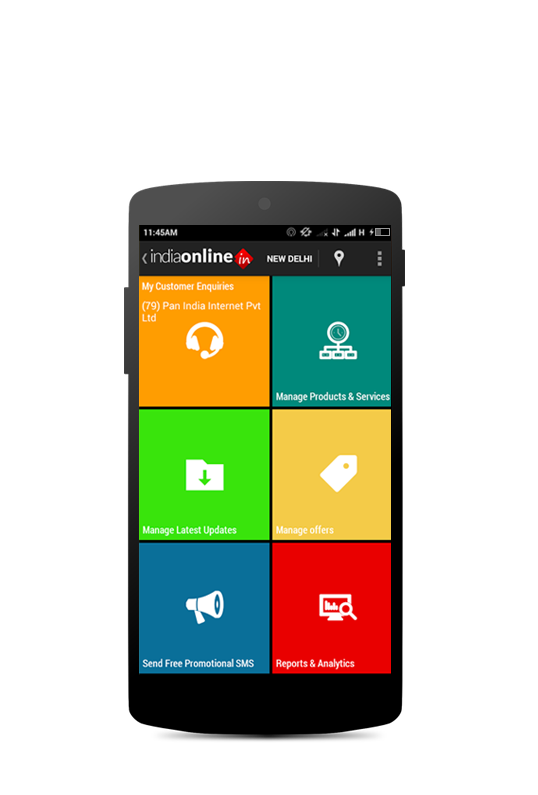 Get the powerful IndiaOnline.in App to manage all customer enquiries, update your website, trigger SMS campaigns – all directly through your Mobile. We are very happy with the response we've got from IndiaOnline. We invested with other providers in the market also but IndiaOnline was the best in terms of delivery and customer response. The backend support was very efficient! GETONLINE is a great platform for small business owners like me who doesn’t have big budgets to spend on marketing. It is extremely cost-effective and has helped me increase my business tremendously. The lead quality is very high and customers are genuine. 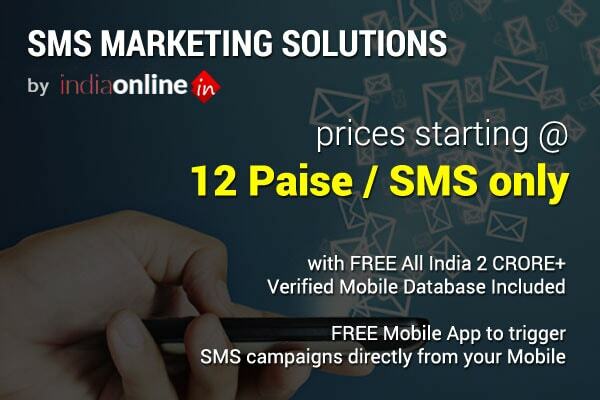 An Amazing One-Stop Marketing Solution by India Online. This has helped me save so much time and effort. Instead of dealing with multiple vendors for different needs like SMS Marketing, Website Designing, Online Marketing etc., I get everything on one single platform. It’s simply fantastic! Get complete stats of your site through your dedicated panel. Get a dedicated profile page and listing for your business on the city portal where you are located. Your Website will be linked with your Business Profile & Free Directory Listing on CITY PORTAL & www.IndiaOnline.in to Drive Quality Traffic for your business/organisation. Multiple Profile Templates & Themes. Get complete stats of your Profile through your dedicated panel. 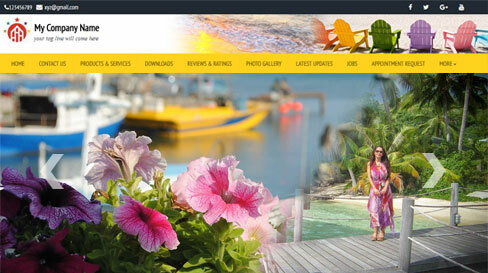 You might have already equipped your business with a Website. But is that enough? 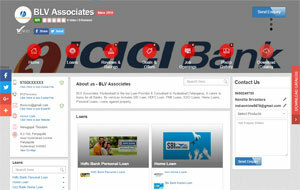 What you get by creating a Business Profile and Directory Listing on the IndiaOnline.in Network. A dedicated Profile URL (as good as a new domain name) on your City Website. 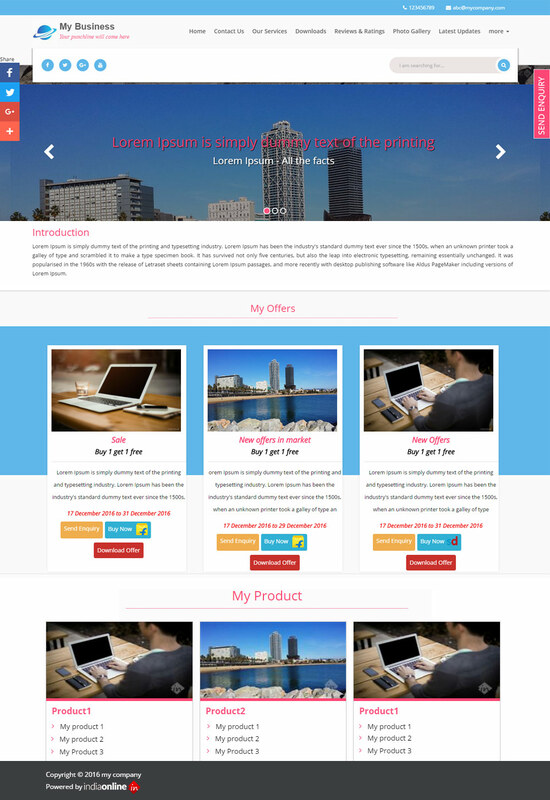 Example https://profile.CityOnline.in/mybusinessname. You'll be able to place this link on your existing website also so that all the features of this service will also be linked through your existing web site. 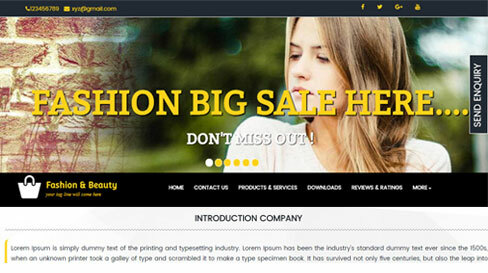 A Multi page Profile with all your Product Details. Facility for Automatic creation of your Company and Multiple Product Brochures in downloadable PDF formats. 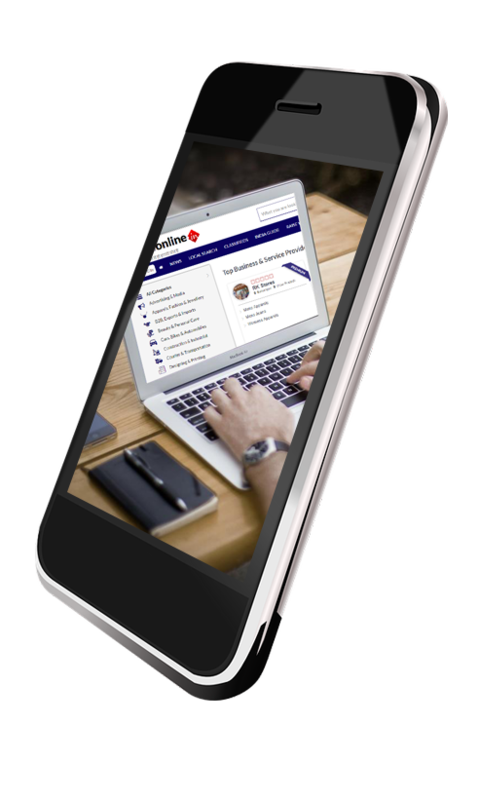 Integrated CRM to manage your contacts and send messages and mailers etc. Instant SMS alerts for all enquiries. Integrated Review and Ratings tool. Advance analytics to give you all your traffic and related stats. The advantages are unmatched and will not only enable you to get more visibility and customers but also will make it easy for you to manage and promote your Business. All these services come to you at very our introductory nominal annual fee of Rs.1500/- to Rs.5000/- only depending your on city tier. 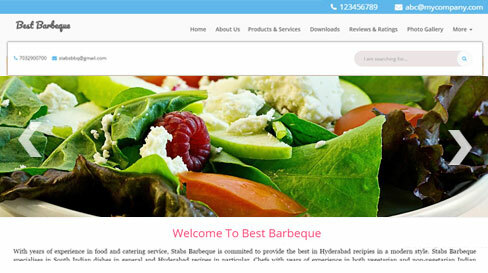 You might have created a very good website for your client - but you will miss lots of benefits if you have not created a Business Profile and Directory Listing for your client's business on the IndiaOnline.in Network. A dedicated Profile URL ( as good as a new domain name) on your City Website. Example https://biz.CityOnline.in/mybusinessname. You'll be able to place this link on your existing website also so that all the features of this service will also be linked through your existing web site. Facility to add multiple Business Locations if your business have more than one. The advantages are unmatched and will not only enable you to get more visibility and customers but also will make it easy for you to manage and promote your Business. All these services come to you at very our introductory nominal annual fee of Rs.1500 to Rs.5000/- only depending your on city tier. What is GETONLINE by IndiaOnline.in? 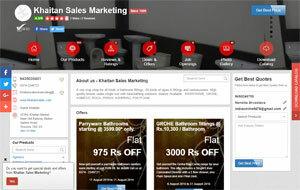 GETONLINE, powered by IndiaOnline.in Network, is a unique one-stop marketing solution for businesses which helps them grow their business and reach out to their customers in the most cost-effective manner. GETONLINE combines and brings together all possible marketing channels on one-common platform to help businesses with all their marketing requirements they would ever need - Digital Marketing, Website Designing, SMS Marketing, Email Marketing, Product Catalogue Designing & Distribution, Branding, Offers Promotions, Manpower Requirements etc. 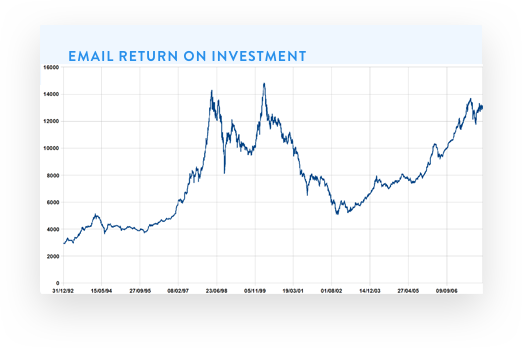 - all working together to achieve one common objective - High-Quality Customer Acquisition with Highest Return-On-Investment (ROI). GETONLINE creates a hassle-free experience for businesses to help them reach out to their potential customers in the most efficient and cost-effective manner through one common platform - IndiaOnline.in Network. 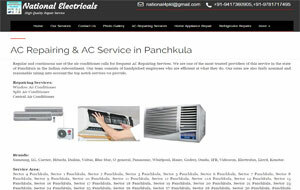 IndiaOnline.in Network is an initiative of Pan India Internet Pvt Ltd (based in New Delhi). It is India’s Largest Online Network of 475 portals, covering every city of India with a dedicated portal. For eg. – www.delhionline.in, www.mumbaionline.in, www.bengaluruonline.in, www.kolkataonline.in etc. To check out the complete list of all 475 portals, click here. Pan India Internet Pvt Ltd (PIIPL), one of the pioneers in the Internet Industry in India, started its operations way back in 2001 and have its headquarters in New Delhi (India). With 15 years of vast experience, PIIPL has been offering unique marketing solutions for small & medium businesses and service providers across India to help them grow their business with unique, value-for-money products. If you have a website, then you should DEFINITELY register your business on the GETONLINE platform to drive more traffic to your website by linking your business profile created on IndiaOnline.in Network with your website. 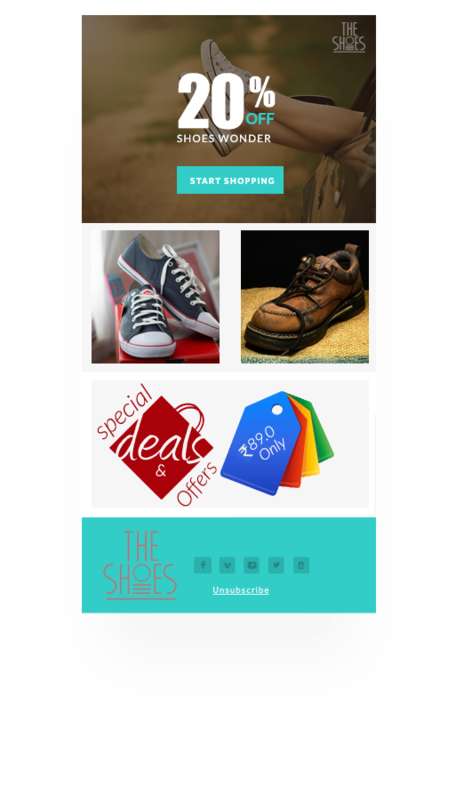 If you are already selling on other eCommerce Websites like FlipKart, SnapDeal, Amazon etc. then GETONLINE is a perfect platform for you to increase your sales! There are 1000s of similar sellers like yourselves who are struggling to highlight their products on these websites. Hence even if you are present on these websites, your sales are not going up. This is where GETONLINE platform comes in handy! We give you an option to add Premium “Buy Now” Buttons with all your products that you want to list on your Business Profile on IndiaOnline.in and link each product directly with your product page on any of these websites, hence helping you drive high-quality buyers to your product page. You are assured of driving quality buyer traffic to your product pages as only relevant and interested buyers will land on your Business Profile through the IndiaOnline.in Network. 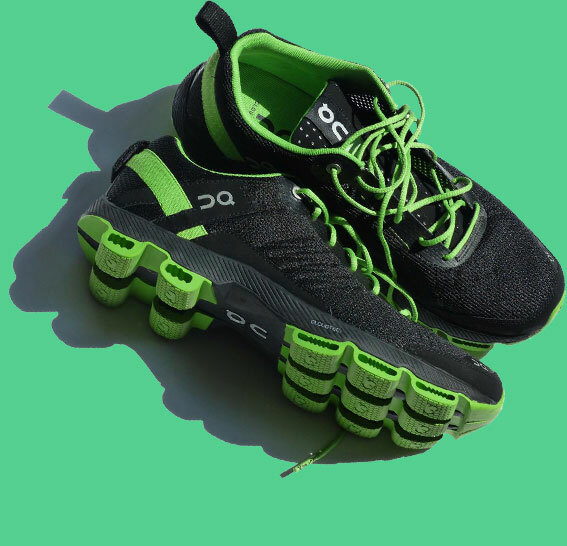 Through our Advanced Analytics, you will also be able to keep track on the latest statistics on each Product and how many clicks you were able to generate on each Product Button. Please feel free to call us on our National Helpline No. –88 8282 0000 (between 10AM to 7PM Mon-Fri) and somebody from our Business Development Team will gladly help you with all your questions. If you have already purchased a domain name and would like to run your website on this domain name, follow these instructions. Once you have registered a domain name through us or any other provider, you may follow these simple steps to point your domain name to our servers for hosting your website directly on your own domain. You just have to setup a simple CNAME record in your domain control panel for doing this. Most of the domain registration providers (registrars) provide this service for free. That's It! It's done. Generally, it takes between 30-60 minutes (maybe higher for some registrars) for your domain to start pointing to our servers. For using Email or other services available from your domain registrar you must follow the steps provided by your registrar. Please note that the control panels provided by different registrars may look different but the process remains more or less the same. In case you still have any difficulty in setting up the CNAME record - you may contact us for any assistance. IMPORTANT NOTE: You must add your domain name during the registration process only after following the above steps for your domain to correctly open your website created with us. Do-Follow Link to your website from your Business Profile and Listing on your city portal, your state portal and www.IndiaOnline.in to boost your website SEO. To know about all benefits of Premium Listing / Profile, Click Here.